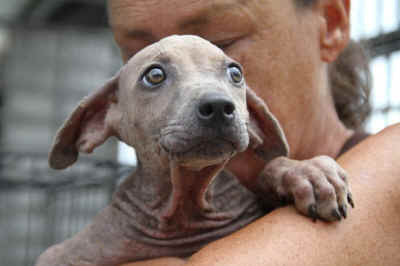 Thank you for your continued support in helping the neglected and abused dogs and cats of Thailand. For me, Pammi's story underscores the importance of your support. Several weeks ago May-May Pichamon contacted Soi Dog alerting us to Pammi’s situation. Pammi was found, alone and frightened guarding her mother’s corpse and refusing to leave her mother. Eventually locals buried Pammi’s mother at a nearby tree in the park where Pammi and her mother lived. Pammi still continued to mourn at the spot where her mother was buried. Imagine for a moment the grief that Pammi felt and knowing that her chances of survival without her mother were slim at best. 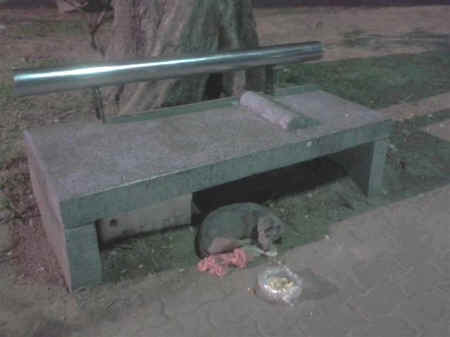 Passers-by had placed food and blankets under a stone seat where Pammi lay, but this was only a temporary make-shift home at best. Our animal rescue team found Pammi and brought her back to the shelter. Sadly, Pammi tested positive to Parvo Virus. 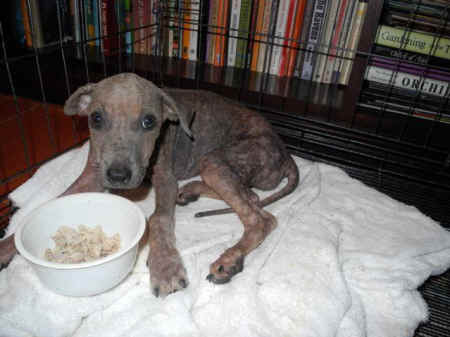 Parvo is a serious illness and often fatal for puppies like Pammi. Given Pammi’s serious condition and in order to avoid spreading the virus to other dogs at the shelter my wife Gill made the decision to bring Pammi to our home and care for her there. Pammi had a very poor start in life and Gill was desperate to save her. Gill spent several sleepless nights caring for Pammi and coaxing her to eat and drink. For days it was touch and go with Pammi’s life hanging by a thin thread. Some days she would eat well and even play with her new toys. She was clearly a clever girl making a soft, cosy bed out of several towels! But other days she would lay listless, not moving and having to be hand fed. From hour to hour Gill did not know if Pammi would survive or not. Pammi had to make regular trips to the shelter to receive injections from Dr. Tuk to boost her immune system. Over several days Pammi’s condition progressively improved much to our relief. I have no doubt this was because of Gill’s constant love and attention. Without Gills tender loving care and the interferon injections, Pammi's future looked bleak. Pammi’s story is an insight into the time, effort and cost of rescuing and treating just one puppy. Pammi underscores the importance of Shiver's Puppy Care Club.